In this trichrome stained specimen, collagen is colored blue and smooth muscle is red. Red blood cells in the venous lumen are brighter red. The background is adipose connective tissue. 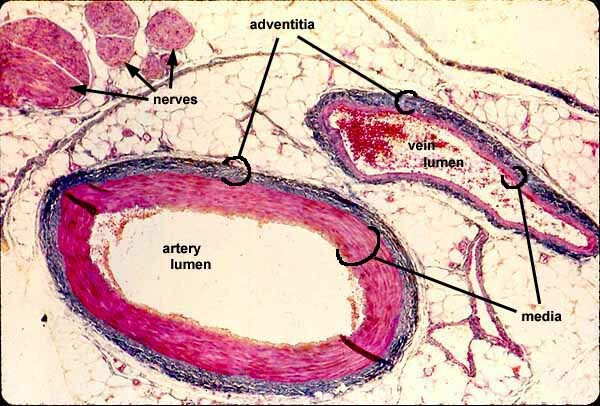 Note differences between artery and vein, not only the thickness of the vessel wall relative to the lumen but also the overall shape (artery rounder, vein flatter). The intima is not noticable at this magnification.